Edited by Alan Dempsey and Yusuke Obuchi, with contributions from Charles Jencks, Brett Steele, Patrik Schumacher, Hanif Kara, Alvin Huang and Wolfgang Rieder. Now available in all leading bookshops and on Amazon. From Mies van der Rohe’s 1929 Barcelona Pavilion to the Serpentine Gallery’s annual summer pavilions designed by architects such as Toyo Ito, Zaha Hadid and Rem Koolhaas, the production of pavilions has been at the forefront of architectural experimentation. Because of their temporary nature and loose functional requirements, pavilions can be realised as a pure expression space and material organisation. Though not automatically categorised as great works of architecture, pavilions have nonetheless provided a vital platform for challenging current practice and facilitating its future evolution. Designed by Alan Dempsey and Alvin Huang, and realised with students as part of the tenth anniversary celebrations of the AA’s Design Research Laboratory, the [C]space DRL TEN Pavilion is one of those built projects that push architectural convention, structural engineering and the building materials industry. A full scale construction that represents a rare collaboration between academia and industry, the pavilion brought together digital explorations in architectural design with advanced structural calculations based on non-linear analysis and state-of-the-art manufacturing processes. 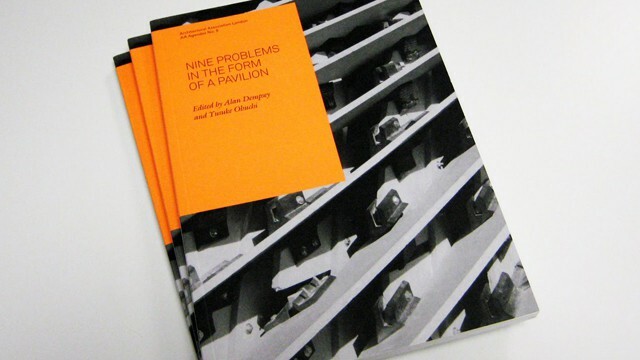 This book recounts the story of the creation of the Pavilion and identifies the key problems encountered during its successful design and realisation. Though grounded in the specific experience of the pavilion, the book argues that these problems are common to broader contemporary design to production workflows and how they are addressed will have a major influence on future architectural pedagogy and practice.